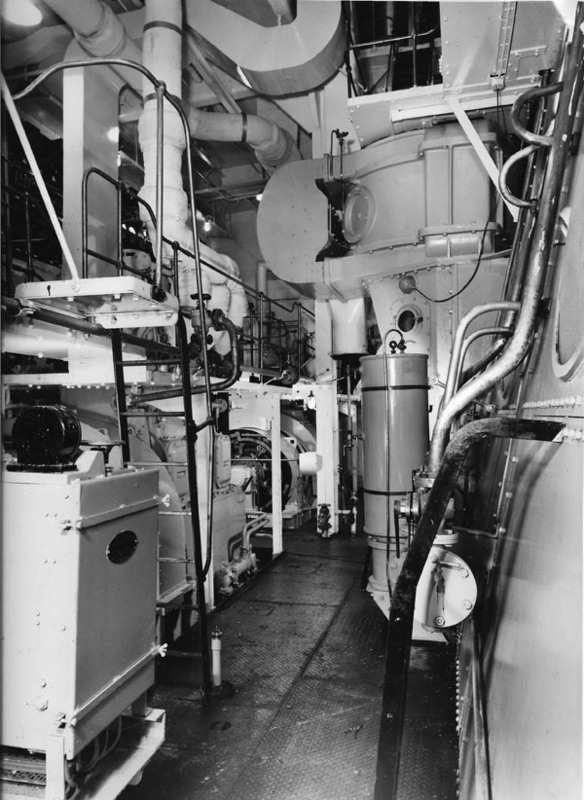 Looking aft along back of main engine. Generator gauge board in foreground. 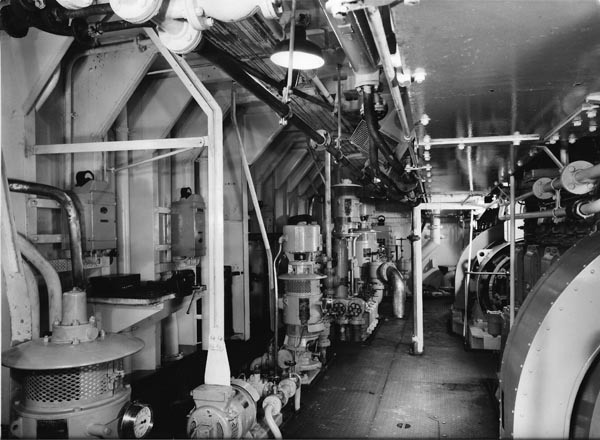 View showing outboard side of generators, and generator jacket water, stand-by lubricating oil and sea water pumps. 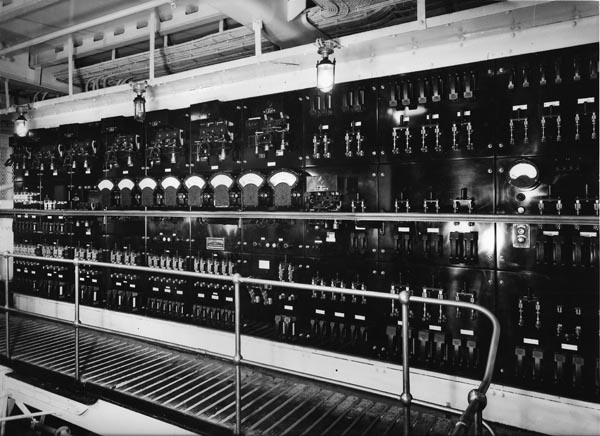 Switchboard, situated in port forward corner at engine room flat level.